Little B is already 8 month old.. Yay!! By this age, she should be learning how to crawl.. that is the normal development milestone for a child..
but for the past one week, she has been crawling backwards..
Hahahha… Yes, that is also part of the forward crawling development.. 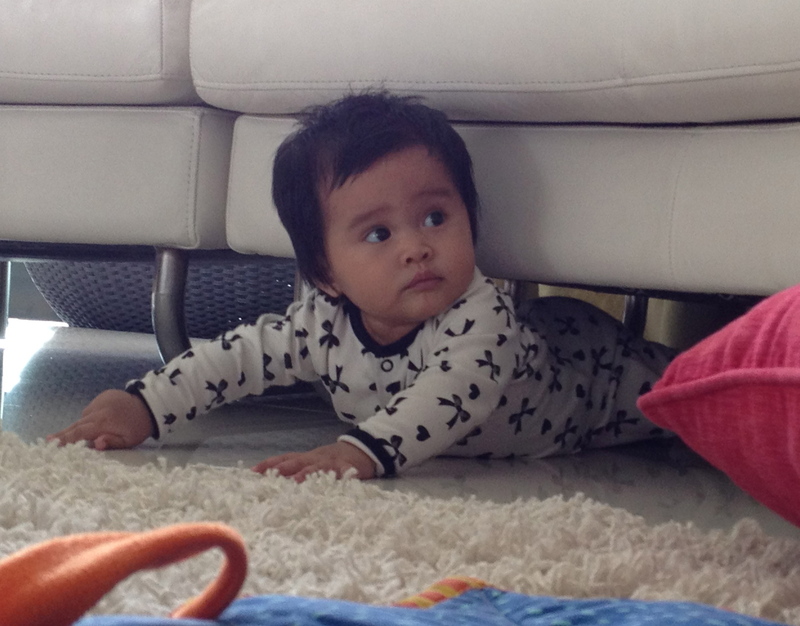 So, every time she got a chance to move about.. she will be crawling backwards.. Yes, this is where we always found her screaming for help.. Hehehhe..
Next Next post: B’s Fish Meal!! Comelnye!! !sian die tsepit bwh sofa..
Hahahaha….rasa nk tium Bella kuat2!! Haha. Cute and funny. Dr, Just want to share you a product named i kids. Very good for immune system and of course devlpment. Main ingredient is colustrum. And im ctain tht u know the benefits of colustrum. Good for bella…. ala la la … the best part is when she screaming 4 help…. haha..my son dulu pun gitu..Bella is soooooo cute! Mwahaha..lawak2..anak2 saya pon selalu terselit celah sofa..tp dok senyap je..x nangis..haha.. I know everyone’s excited that she has started crawling,.. Im just excited that she has more hair! Really rambut bella dah panjang! Bella tak alergic ngan carpet ker? x leh keluar ke bella? cute little B..mommy, i’m stuck in here~~please..
Kiut miut bella..Sebaya ngan my son..
Muhammad Rayyan dh expert dh merangkak ni..
Tp..gg 1 pon lum tumbuh lg..
usually, i pernah dengar la, bby yg lambat tumbuh gigi, maybe bcoz mommy dia ms pregnant dulu kurang amik kalsium…. Comel. This kind of things la yyg akan jadi sweet memories nanti! Luckily u blog about it. Bella boleh baca! 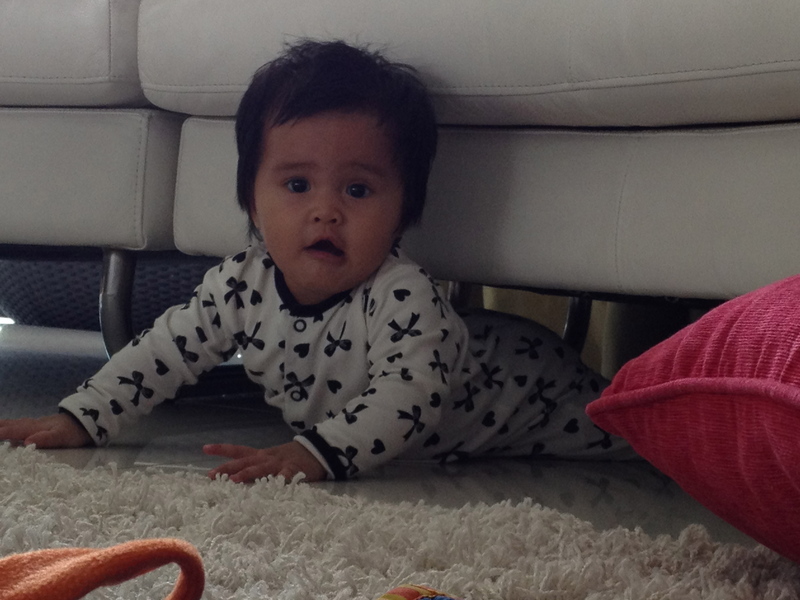 haha..cute lil B stuck under sofa! 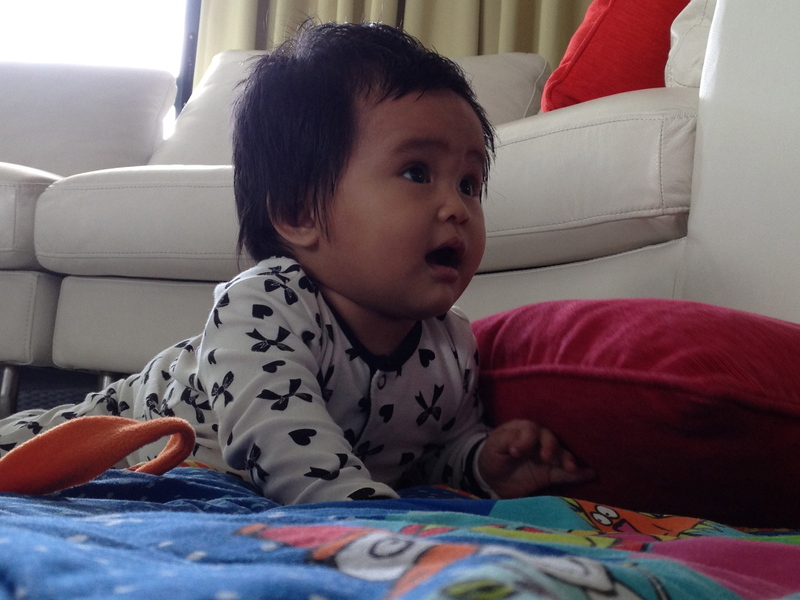 my 6month old daughter pun macam tu..
comel btol si bella ni. haha cute.. mommy kena letak bella kat tpt yg lebih lapang..
Dr, nanti ambil la video little B.. nk dengar suara dia menjerit.. hehe..
hehe same like my son – crawling backward first..
mula-mula i sengihhhhh tengok bella. then mata terbeliak tengok lantai yg squeaky clean!! bella lap dengan tummy montel dia ek??! hahaha just kidding!! aww..so cute….can’t wait for my gegurl to start crawling..sygnya, nak tiarapkan badan pun dia sengetkan badan..
heheh…cute n funny! 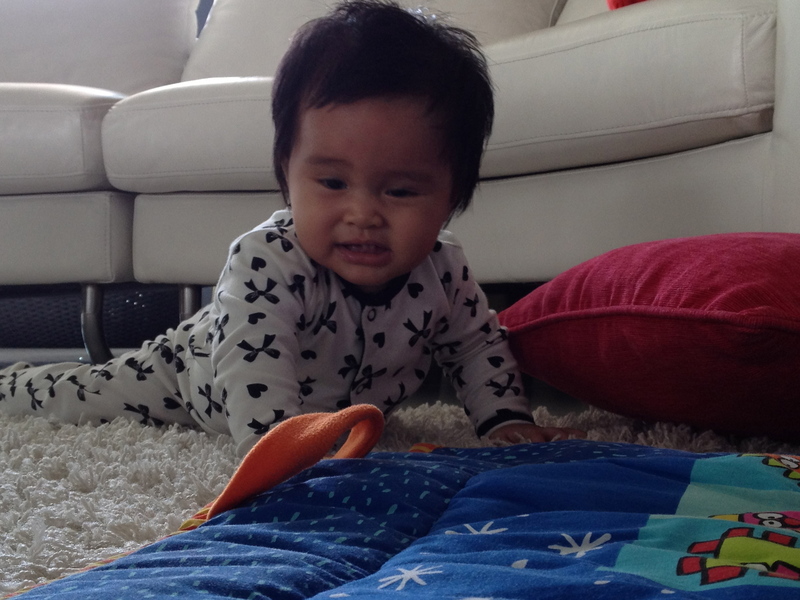 can’t wait for my son to start crawling too! Doc, Bella really cute, after reverse then stucked afterthat screaming for help.